Paris, 2002. Arthur Vlaminck, a young civil servant, lands an impressive first job as the speechwriter for Alexandre Taillard de Vorms, the French Minister of Foreign Affairs at the Quai d'Orsay. Vorms is no simple man. He is a refined and driven intellectual who frequently quotes classical poetry and philosophy. As the imposing doors of politics and diplomacy swing open, Vlaminck is thrown into a world of large egos, high stress and low cunning. He is tasked with drafting France's response to a growing international crisis in the Middle East. Spanning the run-up to an invasion, we see in painful – and often hilarious – detail the inevitable clash between Gallic reluctance and American assurance over the case for weapons of mass destruction. 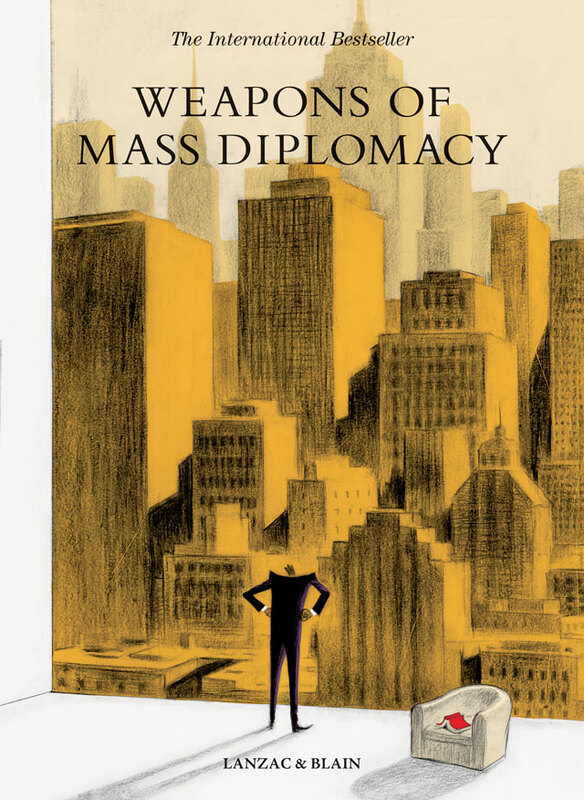 Weapons of Mass Diplomacy is a portrait of a time that saw French fries become 'freedom fries' and a line from The Simpsons about 'cheese-eating surrender monkeys' gain international currency. Abel Lanzac is the pseudonym of Antonin Baudry, a French diplomat who was an Advisor for International Economic and Cultural Affairs for former French Prime Minister Dominique de Villepin. He later became the Cultural Counselor of the French Embassy and Permanent Representative of the French Universities in the United States. Baudry's career has been a hybrid of diplomatic and cultural enterprises. 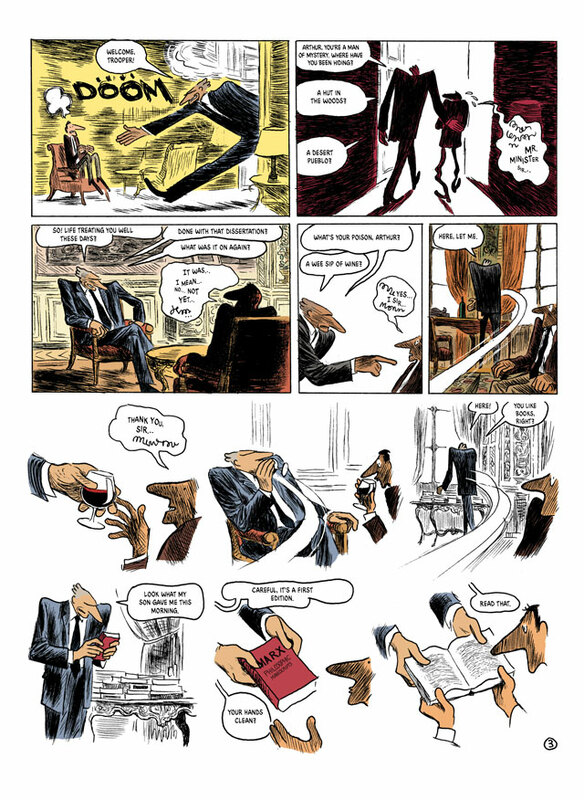 As Abel Lanzac, Baudry received the Best Album prize at the Angoulême International Comics Festival for the graphic novel Quai D'Orsay, illustrated by Christophe Blain. Award-winning artist Christophe Blain is best known for the series Gus, as well as Isaac the Pirate and In the Kitchen with Alain Passard. His collaboration with Abel Lanzac, the satire Weapons of Mass Diplomacy, won the Best Album Award at Angoulême in 2013. "[It] is like a tall mirror that, once hung in the halls of power, reflects truth." "[Weapons of Mass Diplomacy] is to the French comics world what Armando Iannucci's The Thick of It is to British television." 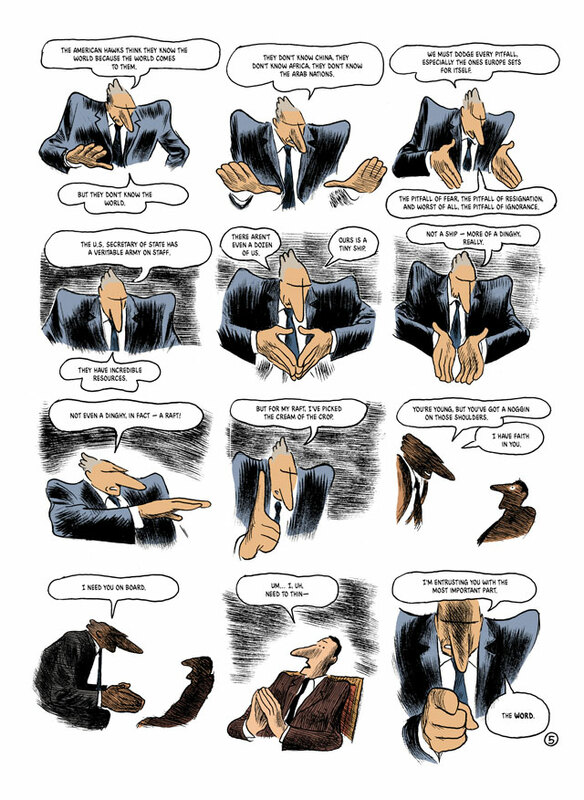 "A hilariously ascerbic but accurate portrait of life in the French foreign ministry."